How does traveling 250 to 300 days a year for work sound to you? 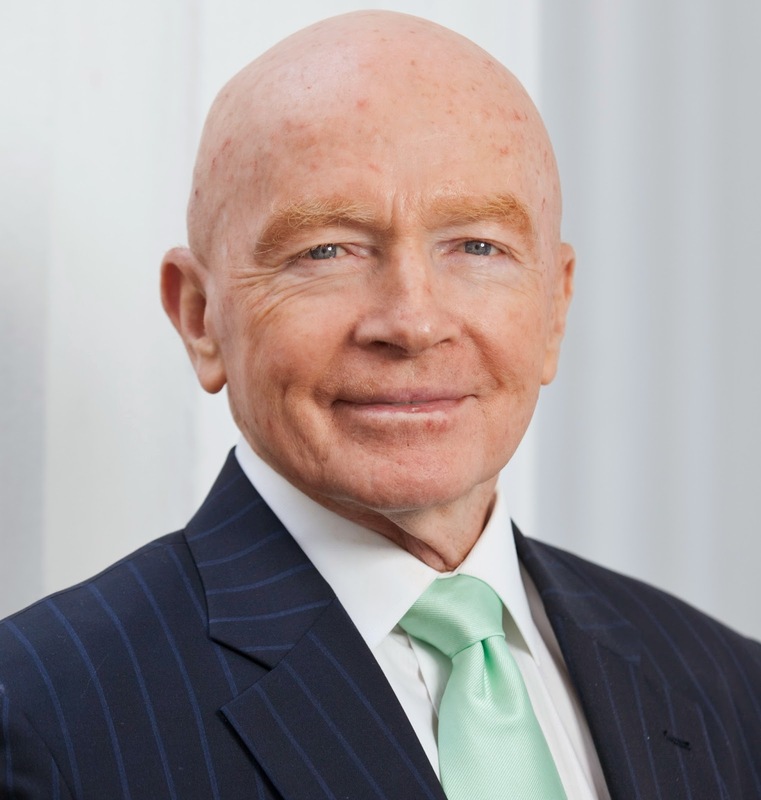 It sounds fine to Mark Mobius, the executive chairman of the Templeton Emerging Markets Group, who does just that, year after year. You've blogged lately about how irrationality and emotion can drive investor decisions. Why are you focused on this now? Many investors have become quite concerned about the global situation and so have focused entirely on the United States. We thought it was a good chance to remind people to widen their scope a little, because while focusing on the U.S. is fine -- it's a great market with good companies -- there are plenty of opportunities around the world, and global investing brings diversification. The only person who shouldn't diversify is the person that knows it all. Also, while volatility's down in the short term, in the longer term it's been on the upswing. Markets are bigger, there are many more things happening in the markets, there are more instruments to go short and long, and derivatives create volatility. Individuals and even institutional investors have to be careful they don't get caught up in it and get scared. You've also written recently about how some U.S. companies can be seen as emerging markets investments. There are many companies listed in London, New York, even Frankfurt, where you're really dealing with an emerging markets or even a frontier markets company. If you bought Unilever [UL] we'd consider that an emerging markets company -- more than 50 percent of its earnings are from emerging markets. Richemont [CFRUY], which is listed in Switzerland and has brands like Cartier, gets more than half its earnings from emerging countries. So does Avon [AVP]. It's good to have some of those, but for full exposure to emerging markets don't overlook the many pure plays in China, India, Nigeria or other parts of the world. Individual companies there are growing faster than companies in the U.S. or U.K. Emerging markets represent 32 percent of the global market capitalization of stocks. That alone means you've got to at least pay attention to what's happening in these markets. Is it harder to get true diversification today because global markets move more in lockstep -- are more correlated? From time to time, particularly in times of high stress in markets -- the subprime crisis, SARS -- markets will tend to move in the same direction. Usually it won't take long before markets begin to separate from each other. In frontier markets we've noticed that correlation with other markets, even in times of stress, tends to be low. You see that when looking at it from a general standpoint -- when comparing indexes. And our funds wouldn't be moving in line with the market, because we're making individual stock selections within each market. We're not managing our portfolio against some benchmark. What's the biggest risk to investors over the next 10 years? The No. 1 risk is the possibility of either deflation accelerating or inflation exploding. There could be two extremes hitting markets, and that could cause havoc in terms of volatility. Right now many nations face a deflationary environment. But then, given the amount of liquidity in the global marketplace, we can also see the reverse of that, in very high inflation. You'd normally think that with the huge influx of liquidity there would be inflation. But the banks that receive this money from central banks haven't been lending it. If there's a rapid reversal of that, you could see inflation move up very quickly, and the reaction of central banks could be intense, and excessive, in withdrawing liquidity from the markets. How can individuals deal with that in their portfolios? You've got to be exposed to companies that can withstand both inflation and deflation. Usually, that means a company with a unique position in its market. In a deflationary environment, if you have a strong brand name and a prestigious quality image, people would be willing to pay your price even with deflation. A good example is the luxury companies. In an inflationary environment you've got to own companies that can raise prices fast enough to keep up with inflation. There are many companies that own good brand names and can dominate a product category. It could be the Unilevers of the world. What would you say is the biggest mistake investors make? Taking a short-term view that can bring a risk of being whipsawed. A good example now is oil prices. We've seen oil prices drop, with some people looking at $60 a barrel, and many people will react and sell oil companies. That could be a big mistake (sell oil companies), because the longer-term predictions have oil at $90 or even $100 a barrel. By making this short-term decision on stocks that, by the way, have already gone down, you're selling at the bottom and may get caught having to buy at a top when prices recover. Many companies at $60 a barrel will do very well because they're diversified, and aren't only drilling for oil but are selling gas, selling diesel. So lower oil is bad for the exploration side, but for the distribution side of oil companies it's good. Many of these stocks have gone down by 20 percent to 30 percent and pay excellent dividends, so it doesn't make sense to be selling them. What's the biggest mistake you've made in your personal portfolio? Keeping too much in cash and not being in stock funds. Someone asked our company's founder, John Templeton, when they should invest, and he said that the best time to invest is when you have money. It's very true. If you're just sittiing on cash and not investing, regardless of where the market is, you're probably going to lose out sooner or later. Do you manage your own money? I put my money into our funds. Part of our bonuses are put in our funds and I also buy funds outside of that. And not just our mutual funds. Diversification is very important, even among mutual funds.